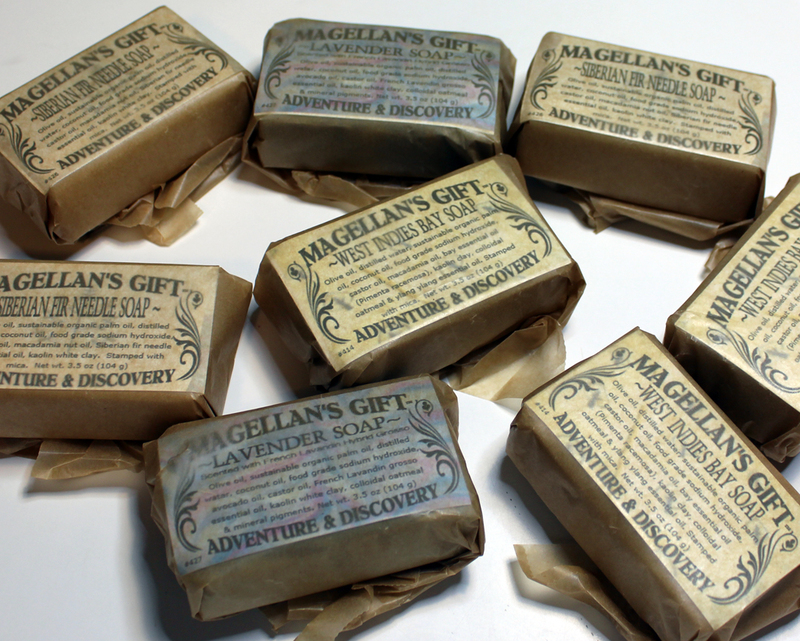 Magellan’s Gift™ soaps are loosely wrapped with EcoCraft deli wrap, an ingredient card that includes NET WT, contact info, address, and useful tips. Incoming packing material is often recycled from incoming shipments to reduce waste and to help the environment. If you are gifting soap, please check out our other packaging options listed in our online products section. Currently no international sales. We only charge actual shipping charges. Our register isn’t flexible about shipping charges. We will refund you on excessive shipping costs. Tip: 3 bars of soap can be mail priority for $6.55. Up to 12 bars from VA to CA $11.25. 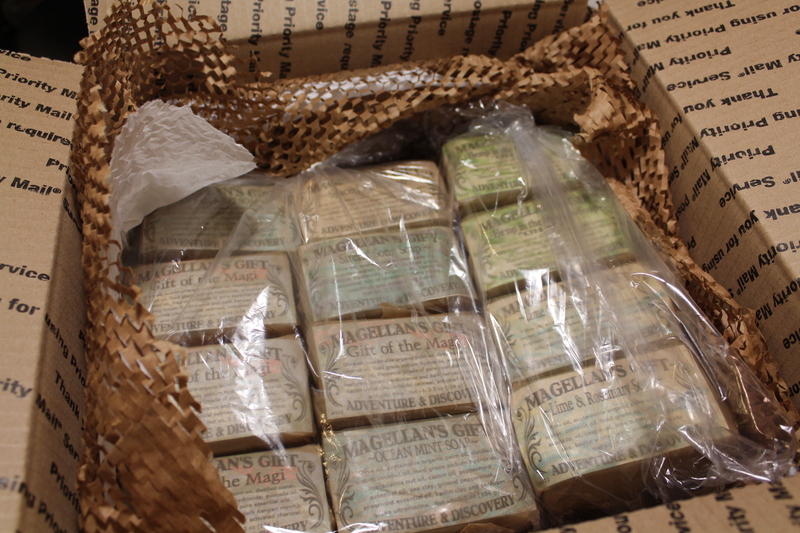 Shipped Magellan’s Gift™ soap is loosely wrapped in eco deli wrap. A card listing all ingredients, net weight, where it is handcrafted, tips and contact information is included. Art bags are available from $1.25. lcurry802@comcast.net – if you get bounced emails or don’t hear from me in 24 hours. Contact me at lcurry@magellansgift.com. Which soaps are you interested in? I do except personal checks, but they must clear before shipping.